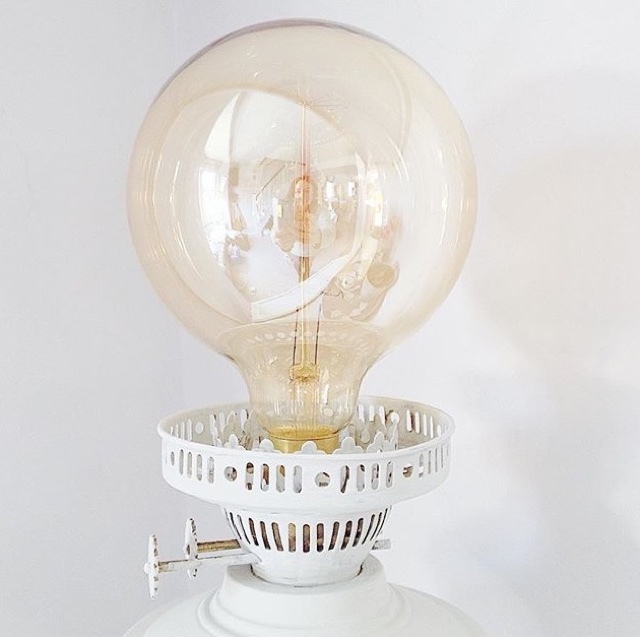 Re-loved lamp with Edison bulb. I just wanted to quickly share with you my lovely lamp upcycle. It was a bit of a nightmare keeping a brass lamp clean and the glass shade had long gone, I have to say, it was looking a bit sorry for itself. I gave it a couple of coats of paint in Farrow and ball Mizzle from a tester pot I had from a previous project, and I found the amazing pearlised amber Edison bulb on Amazon for £7.00. I now love it, it lifts the corner of the room where it sits and the bulb looks so pretty on and off! 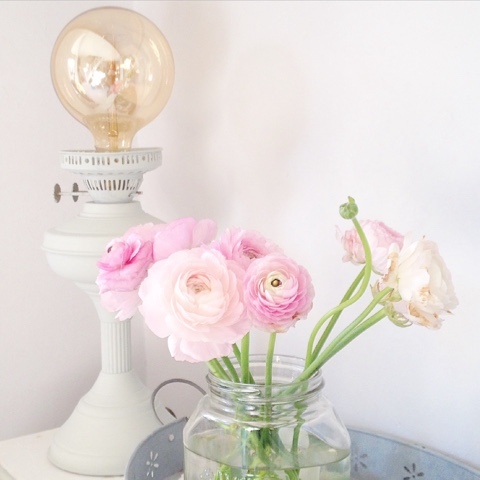 I just love a quick upcycle with minimum cost and maximum prettiness! Oh, that beautiful pearlised amber Edison bulb! To finish off the painted lamp. Never knew there were such things as pearlised amber Edison bulbs. P.s you were right about my blogger.... I did come back.